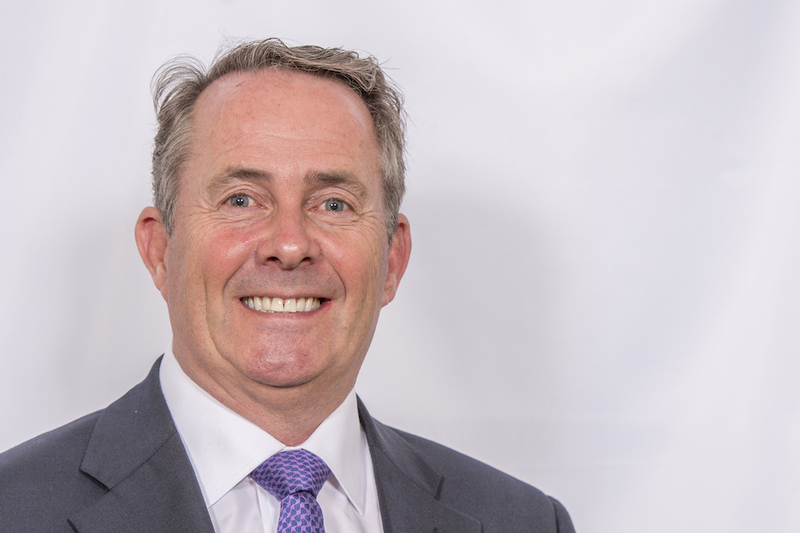 Below is the text of the speech made by Liam Fox, the Secretary of State for International Trade, at Bloomberg in London on 27 February 2018. The historic decision by the British people to leave the European Union has presented this country with a number of choices about its future global direction. It has generated a great deal of soul-searching and caused a number of important questions to be aired. Some of these relate specifically to the referendum decision itself, others are questions which needed to be addressed anyway but have been brought into sharper focus by that decision. Where do we see our place in the world? What sort of economy and what sort of country do we want to be? Since the referendum vote and the creation of the Department for International Trade, my ministerial team and I have undertaken over 150 overseas visits, to all parts of the globe, to old friends and new allies alike and to markets large and small. From across the world, the keenness to deepen trade and investment ties with this country and once again hear us champion the case for free trade, is palpable. The United Kingdom is one of the world’s largest and most successful economies. We are at record levels of employment. Our success is underpinned by a legal system whose reputation is second to none. We have a skilled workforce and a low tax and a well-regulated economy. We are home to some of the world’s finest universities, our research and development capabilities are cutting-edge and our financial institutions world-leading. We are in the right time zone to trade with Asia in the morning and the United States in the afternoon, and, of course, we speak English, the language of global business. In 2017, we saw the highest level of foreign direct investment projects landing in the United Kingdom in our history – as the world’s leading companies offered a strong vote of confidence in the future of our economy. This was matched by an increase of some 11% in the value of our exports. In 2017, £617 billion of UK goods and services were sold overseas, narrowing our trade deficit by just under £7 billion. The second half of 2017 also saw strong growth in manufacturing output. Partly as a result of this improved export performance, order books for British manufacturers remained well above their long-term average. This is testament to the hard work and dedication from British businesses up and down the UK. We also saw a continued explosion of interest in British tech and innovation. In the last year we had more than 58,000 tech startups in our country and more venture capital in tech was invested in London than in Germany, France, Spain and Ireland combined. All of this adds up to an extremely positive picture, one which should give us confidence in dealing with the global challenges that lie ahead and the opportunities that we must seize. This confidence is key to being able to take advantage of a dramatically shifting picture around the world where previous assumptions are being challenged, where influence is moving and where huge new markets are blossoming. I often repeat the fact that the IMF estimates that, in the next 10 to 15 years, 90% of global economic growth will originate from outside the European Union. This is not to diminish the importance of Europe as an economic market and partner, but merely to point out the scale of the shift in global economic activity so that we are orientated towards the most income generating parts of the global economy. Such a shift, not just in global demographics, but in the rise of the collective wealth of developing countries, will determine where the golden opportunities of the future will be and where we must be too. Markets are already out there for the best that Britain has to offer. I see it on every overseas trade visit I make. For UK export goods from top-end fashion to high-quality cars to Scotch whisky to high-end manufacturing, the demand is growing. For professional services too, from accountancy to law or education or life sciences or financial services, these newly emergent middle classes will need more of the skills where we are already world class. It is here that we will find the United Kingdom’s unique comparative advantage. We must, as a country, set our sights on this future. We have to take a long-term view. And our future must be global. Because the pattern of our trade is changing. 57% of Britain’s exports are now to outside the EU, compared with only 46% in 2006. What is more, while our EU exports are still dominated by goods, our non-EU exports are evenly split between goods and services. Our approach should not be premised on simply identifying how much of our current relationship we want to keep, but what we need to prosper in a rapidly changing global environment. We cannot let the practices and patterns of the past constrain the opportunities of the future. We require an economic outlook that allows us to take advantage of the substantial opportunities that Europe will continue to bring but without limiting our ability to adapt to a changing and growing world beyond the European continent. The UK is perfectly placed to partner with the economic powerhouses of the future, and they in turn are eager for the mutual prosperity that such a partnership would bring. To do this, we need the ability to exercise a fully independent trade policy. We have to maximise our overall trading opportunities for the UK and secure the prosperity of our people. Now, in the first speech I gave as Secretary of State for International trade, I set out Britain’s proud tradition of defending both the concept and the practice of free trade. Time and again, studies have found evidence of a strong positive correlation between economic openness and growth. Globalisation has been of huge and sustainable benefit to the world economy, including through trade, specialisation and innovation. Increased competition, economies of scale and global value chains have all contributed to a productivity revolution, boosting the output of businesses across the globe. And when free trade agreements are reached, the positive effect on businesses, industries and economies can be remarkable. The EU/Korea free trade agreement, which came into effect in July 2011, is just one example. In the year before the deal was agreed, the UK beer and cider industry sold almost nothing to Korea; exports were under £2 million. By 2017, however, sales to South Korea have exploded to over £93 million. Free trade can be particularly important for developing countries, as they gain access to new cutting-edge technologies and millions more consumers of their goods. As the world’s emerging and developing economies have liberalised trade practices, prosperity has spread, bringing industry, jobs and wealth where once there was only deprivation. According to the World Bank, the 3 decades between 1981 and 2010 witnessed the single greatest decrease in material deprivation in human history. A billion people were taken out of abject poverty in one generation. That is why it is morally unthinkable to reject free and open trade. And it’s not just in markets overseas that the benefit from free trade, we also feel them here at home too. Although it might not always be noticed, the wider benefits of a liberal trade policy are shared by consumers and households across this country, by providing a wider choice of goods at a lower price. It provides supermarkets with the ability to sell us a full range of foods all year round. It enables electronic retailers to sell us increasingly sophisticated technology at lower prices – from TVs to computers to mobile phones. All this helps incomes go further. For example, in the decade to 2006, the real import price of clothing fell by 38%, a real help for families with children. But more than lower prices, open markets allow consumers the ability to choose where they source their goods to ensure sustainability and the propagation of our wider values, including our environmental agenda and maintaining the highest standards in the food we can buy. As with many freedoms, free and open trade can be taken for granted. But the reality is that these freedoms and the benefits that they bestow have been hard-won and have to be continually defended from the siren-call of protectionism and the anti-trade lobby. This is why our vision for a post-Brexit Britain is one of leadership. The UK is already a committed member of the World Trade Organization – a body which is the home of the international rules-based trading system that we support. Currently, our direction and action within the WTO is determined by our membership of the EU. But soon, the UK will regain the full authority of independent membership. We will establish our own trading schedules. We are taking the necessary steps so that, on leaving the EU, we will accede to the Agreement on Government procurement. And we will begin to exercise our independent voice. The UK stands ready to offer clear leadership, to be a staunch defender of trading rights and freedoms, not only at the WTO, but at other international bodies too. Moreover, we can help forge the way on the liberalisation of those areas of global trade where the WTO and other bodies have yet to extend their reach; services, digital trade and the knowledge economy. The digital economy is growing 32% faster than the wider economy and creating jobs three times more quickly. Digital trade is inherently transnational, and e-commerce offers previously unknown opportunities for SMEs and individuals, particularly women, to take part in the globalised economy. In many areas of this important agenda, the EU has not kept pace. There is a real opportunity for the UK to become a global leader in digital trade. If we are to lead, then we must ask ourselves what leadership looks like. As I alluded to earlier, part of the failure of current trading practices has been their rigidity. There is a tendency among some nations to cling to the ‘known’ trading mechanisms more suited to the structures of the past than the digital age of the future. Flexibility and agility, then, are the key to any future trade policy. The ability to react quickly to new developments, to explore new opportunities and to nurture fledgling industries will be the key to growth and prosperity in the coming years. That is why my department is pursuing a more flexible approach to our country’s trading future. There is a growing awareness that a full-blown, gold-plated free trade agreement may not be the only solution in a fast-changing global economy. Fortunately, there is a global ‘toolbox’ from which we can choose the most appropriate mechanisms for liberalising trade. These range from being key members of multilateral agreements, to mutual recognition agreements and the sort of outcome-based equivalence approach recently advanced by the governor of the Bank of England. We will consider multi-country alliances of the like-minded, right down to bilateral arrangements, using all the advantages available from our diplomatic network to the system of Prime Ministerial Trade Envoys. All these options are available but only to countries with independent trade policies. We have opened 14 informal trade dialogues with 21 countries from the United States to Australia to the UAE. These will lay the groundwork for future FTAs, but will also work to identify those non-tariff barriers to trade that can be removed earlier. With a presence in 108 countries and working across government, DIT is a fully integrated trade department bringing together investment, export promotion, export finance and trade policy. We are currently piloting a new Global Growth Service, increasing our support for those medium-sized businesses with international ambitions. For example, UK Export Finance has been recognised as one of the world’s most innovative and flexible Export Credit Agencies. Last year UKEF provided £3 billion in support, helping 221 UK companies sell to 63 countries around the world. 79% of these companies were SMEs. For those firms that trade with the European Union, keeping all of the EU’s regulations, the Customs Union, the Single Market and the external tariffs sounds like an easy option. But we cannot allow our future to be determined by our past. Instead, we should turn our sail and tack into the global trading winds of the future. We should fully exploit our own natural advantages to unlock the vital prosperity we need. We should be able to offer better preferential agreements and work more closely with a range of developing countries. And we should build a trade policy that works for the long-term interests of businesses, citizens, and future generations. There has been much debate in recent days about the EU’s customs union. As we are leaving the European Union, necessarily, we cannot remain in the Customs Union which is open only to EU member states. The alternative has been proposed that we enter a new customs union with the European Union. But what would this mean? Tomorrow’s choices would be constrained by today’s status quo. We would deny ourselves the opportunity to shape Britain’s place in the future world economy and our ability to influence the direction of that economy itself. Of course, the government’s aim is to ensure that UK companies, as well as those from abroad, retain the maximum freedom to trade with and operate within European markets. And on Northern Ireland, it is, of course, as precious a part of our United Kingdom as any other, so it’s vital that it has a full share in our future prosperity and our opportunities as a trading nation. The avoidance of a hard border in Northern Ireland is of crucial importance, as is the prevention of trade barriers between Northern Ireland and Great Britain. We believe that a comprehensive and liberal trading agreement with the EU is the best way to deal with the crucially important issue of avoiding that hard border. We believe that the same principles should apply to the agreement between the UK and the EU itself as we move away from the political constraints of the union. We do so as one of the world’s largest economies with a strong alignment to the EU. We understand that outside the EU we will no longer have influence in the Council of Ministers, the Commission or the European Parliament, where EU rules will be made. But it would not be in the interests of the EU or the UK to introduce unnecessary restrictions on trade and investment across the European continent, and it would send a signal to global investors that Europe was less open for business than it is at present. We want an economically vibrant EU to be a major partner for the future in a deep and special partnership. Our negotiations must be focused on delivering a partnership that will support the prosperity, stability and security of UK and EU citizens. And it will need a bespoke relationship. We are not Canada or Norway or Switzerland. We are Britain, and what’s more we want to be a truly global Britain. A global Britain with ambitions to maximise our trade opportunities both inside and outside the EU. A global Britain that wants the freedom to work with global partners. And a global Britain which seeks to minimise any barriers to trade because it all comes down to flexibility and agility in what will be an increasingly competitive global economic environment. The UK must regain the ability to negotiate our own trade arrangements with our own partners. To surrender this would be to endanger not only our long-term prosperity and the innovation and dynamism that will ensure that Britain remains a leading economic power, but also our ability to influence this new trading landscape in a way that reflects UK values and interests. We have been given an historic opportunity to re-orientate our economy. We will have to ensure that we put the prosperity, stability and security of our people first, but we must also remember that history, experience and values are vital navigational tools and that confidence, optimism and vision will always deliver more than pessimism or self-doubt. 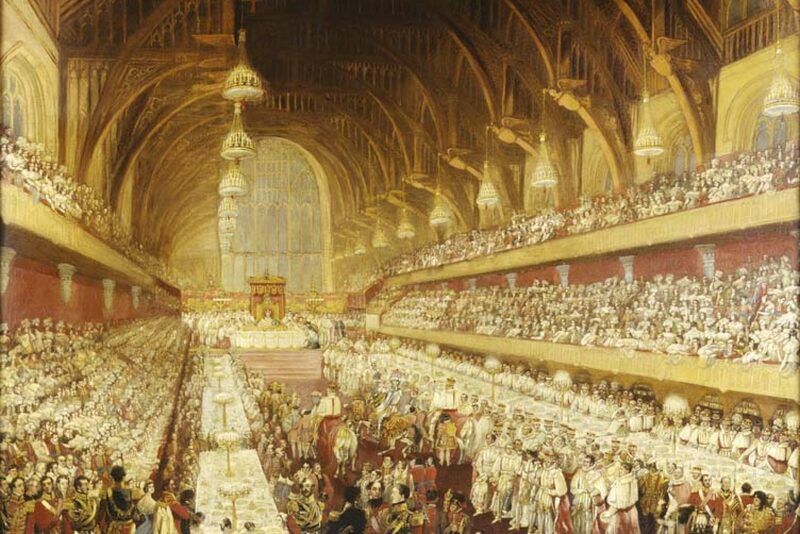 The prize at stake is not simply the future prosperity of the United Kingdom but our ability to participate in and shape the world economy at one of the most exciting and important points in history. It is about moving away from the concepts that defined our activities in the 20th century to new ways of viewing the opportunities of the 21st. It is about breaking down barriers, opening up markets and providing opportunities so that the benefits of free trade can be enjoyed not only by the next generation in this country but so that some of the world’s poorest can share in the fruits of our prosperity.